There’s no need to fight the crowds. 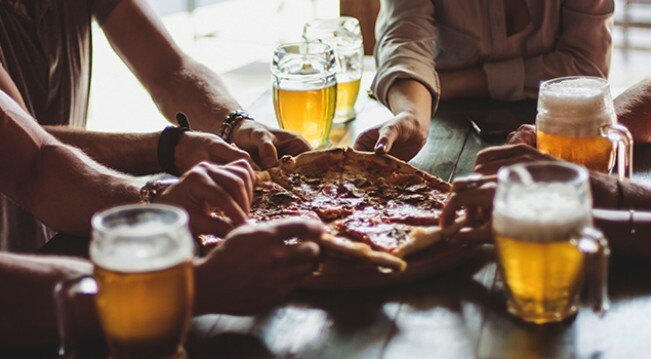 The Fredericksburg Hospitality House Hotel and Conference Center offers two highly acclaimed in-house restaurants, whether you’re in the mood for something casual or more upscale, and even a little bit of musical fun as well. 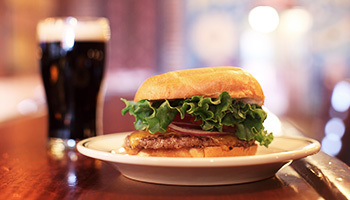 Enjoy classic American cuisine with a regional flair in our traditional Irish pub atmosphere (live music on weekends!). The extensive menu features steaks, seafood, poultry, pasta, and salads, with popular dishes including the juicy ribeye steak dinner and classic Caesar salad served with chicken or salmon. There’s a kid’s menu too. The complete bar presents local wines and brews from the Blue and Gray Brewing Company and Lake Anna Wineries. Dinner is served Wednesdays through Saturdays until 9. Please visit the Shannon’s Bar & Grille website for the full menu and upcoming schedule for live music every weekend. 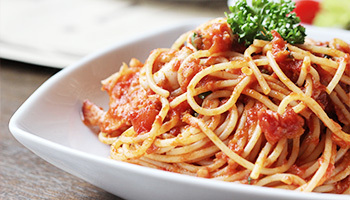 Ledo Pizza & Pasta brings you more than half a century of East Coast tradition. With its first location opening in Adelphi, Maryland, in 1955, the company has grown to 50 eateries in five states and the District of Columbia. What hasn’t changed is its devotion to quality. Using the freshest, high-quality ingredients, every pizza is rolled to order with fresh handmade dough (and created in the signature rectangular shape). Calzones, Stromboli, classic Italian pastas and entrées, salads, subs, wings, and the ever popular mini-burgers are also available. Ledo is open Monday through Thursday 11 a.m. to 10 p.m.; Friday 11 a.m. to 11 p.m.; and Sunday 11 a.m. to 9 p.m. It’s is located on the first floor of the Fredericksburg Hospitality House Hotel, right next to the front desk. You can order carry-out through the hotel operator, or call (540) 786-2063. Click here to check out the updated menu for Ledo Pizza! Guests at Fredericksburg Hospitality House Hotel and Convention Center enjoy a hearty hot breakfast at Ledo every morning from 6 to 10:30 a.m. Select your breakfast favorites from a full menu of omelets, pancakes, Belgian waffles, French toast, and, of course, genuine Virginia sugar cured ham. A selection of cold and hot cereals, juices, fruit, bagels, biscuits, and muffins is available as well.